Sharmar Mohamed Hassan doesn’t know the words in English to describe his bicycle. So he uses his native language, Somali, to tell me it’s a green road bike. And it’s his primary form of transportation in Austin — which, at times, can be a little touch-and-go. 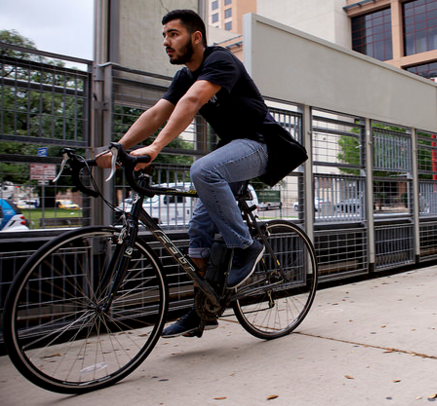 Hassan started biking a few months after moving to Austin in September 2014. He got his first job washing dishes at the Driskill Hotel. When working late, he often left the hotel around 3 a.m. He didn’t own a car, and there were no buses at that hour, so biking became the best option. Hassan said that in his home nation of Somalia, a person’s class is easily discernible based on how he or she gets around. “If you are walking on the street, people consider you to be a very poor class because you cannot afford to have a car or any form of transportation,” he said. In the U.S., he said, determining class by mode of transportation is much trickier. City Council members must soon choose which one of a handful of bond proposals they’d like to place on a November ballot. While the plans vary in total funding — from $500 million to $720 million — and how that money is allocated, each of the proposals promises to put some money toward the city’s Bicycle Master Plan. Bike advocates say this funding has the potential to benefit a diverse group of current cyclists. But that number is a little problematic. While the group used census data, the way the government categorizes commuting makes isolating specific modes of transportation challenging. When organizing commute types by income bracket, the census groups bicycle commuters in with those who get to work by taxi or motorcycle. Regardless, Miller Nuttle with Bike Austin said that from working with local bikers, he knows the community is diverse. While a more complete biking landscape in Austin — including protected bike lanes and complete trails – would be significant from a safety standpoint, Bicycle Advisory Council member Tom Wald said funding for the plan would more than anything help further diversify Austin’s bike community. According to Wald, 2014 updates to the plan focused on short trips and safety — two things Wald and city staff say will encourage more people to bike — and further protect those for whom biking may not be a choice. The City of Austin earned a gold-level designation this week from one of the nation's leading cycling advocacy groups, the League of American Bicyclists. That's one level below the highest designation of platinum. 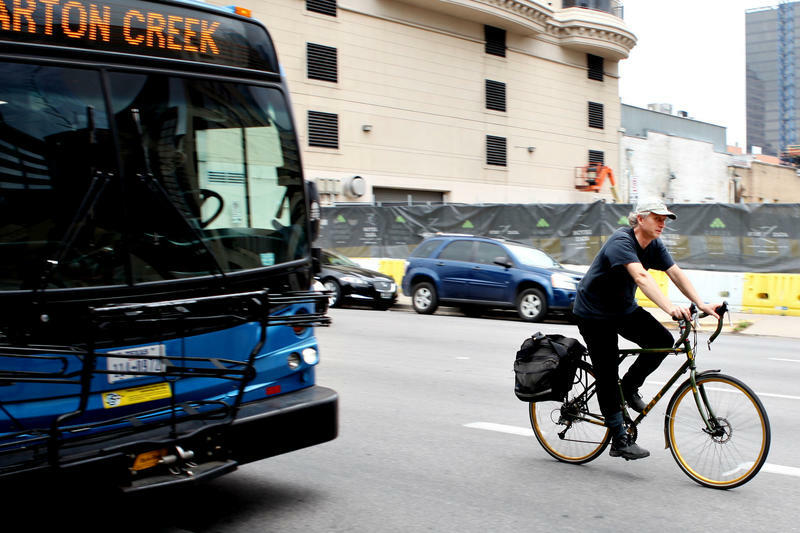 KUT's Nathan Bernier asks cycling journalist Ian Dille what the city has done to earn the praise and what more it can do to encourage cycling as an alternate way of getting around. Austin's roads are busier than ever, and there’s more than just cars and trucks on them. As more and more Austinites choose bikes to get around, where exactly are they allowed to ride? It can be a little confusing knowing where it’s okay to ride your bike. For instance, you’re not supposed to ride on the sidewalk in parts of downtown Austin. But when it comes to the road? Well, a bike is welcome pretty much everywhere. It’s right there in the Texas Transportation Code. 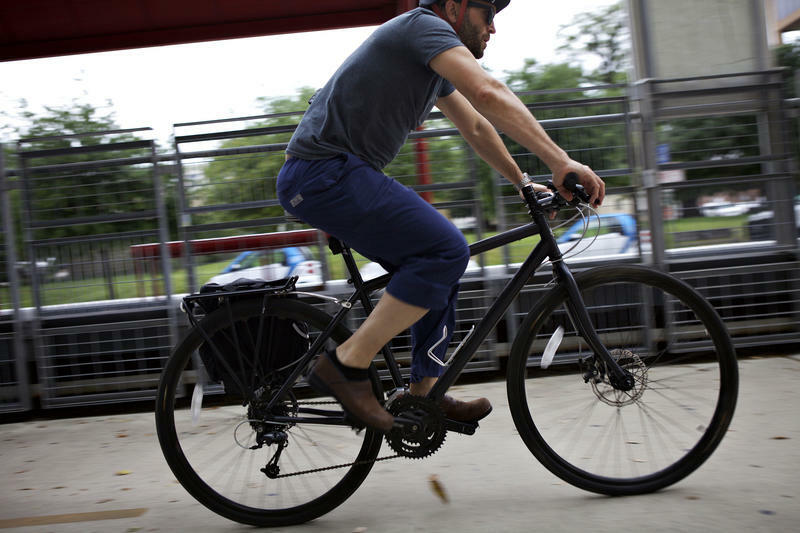 Today is 'Bike to Work Day' in Austin (and across the country), with more than two dozen “fueling stations” offering free snacks and drinks to Austinites on two wheels. While the percentage of Austinites who commute by bike is growing, it still remains low relative to peer cities outside of Texas. On average, only two percent of people in Austin regularly use a bike to get to work, though that percentage can be much higher in parts of the urban core. 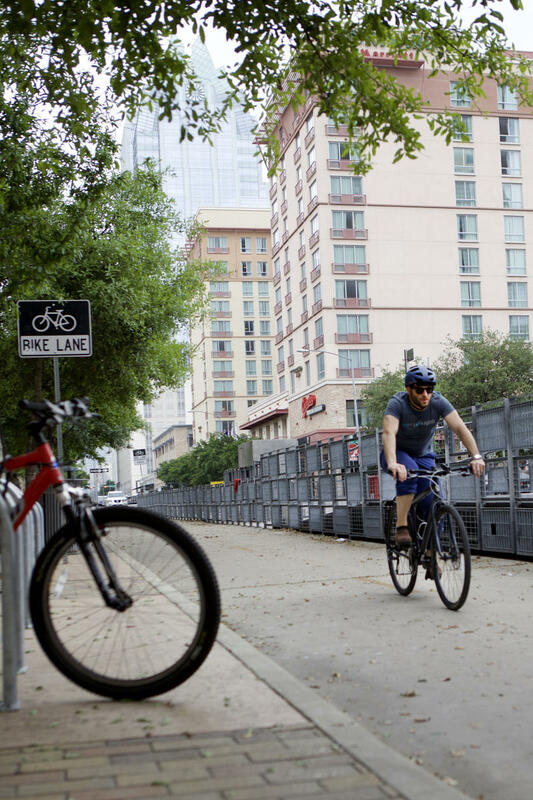 Austin ranks 91st on a list of 154 cities nationwide for bikeability according to Walk Score, while the state of Texas is in the bottom half of states for bike-friendliness, according to the League of American Bicyclists. The state ranks 30th, up a few places from last year. While Texas has made some incremental improvements in cycling-friendliness, like a 'share the road' campaign and other safety improvements, there’s a long way for the Lone Star State to go. Austin can sometimes feel like one giant construction zone these days. 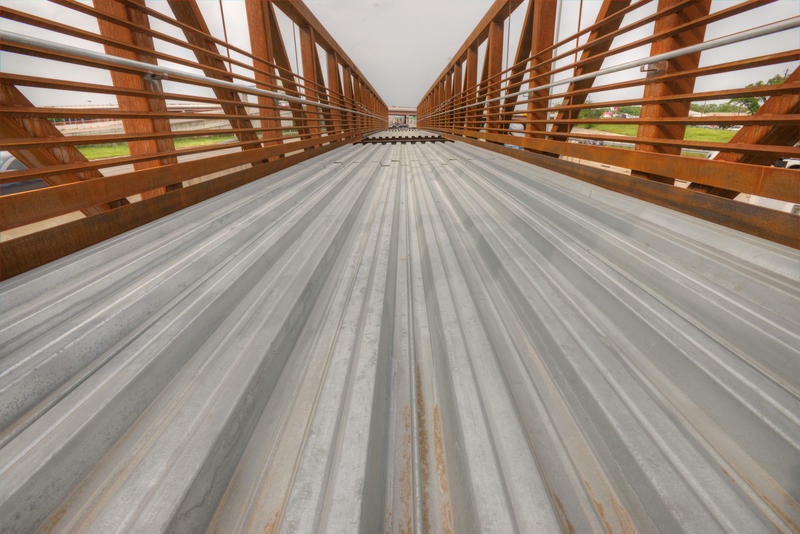 Road projects have been adding to the noise and delays, but there’s a hidden benefit to all that new pavement — many of the new road projects and highway dollars in town also mean improvements for Austinites getting around on bikes and on foot.